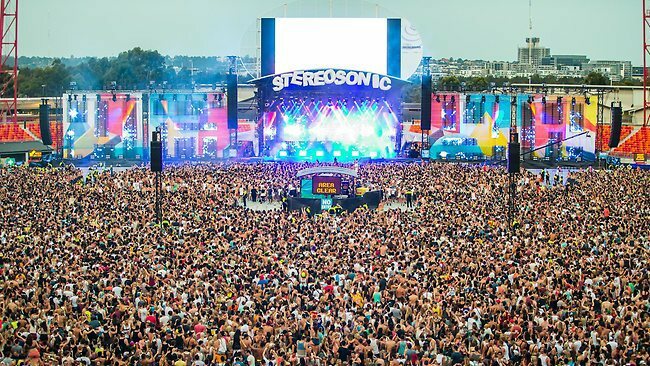 When talking about massive events in Australia, we have to mention Stereosonic. It's a festival that takes place in five cities across the country – Sydney, Melbourne, Brisbane, Adelaide and Perth. It is going to be the festival's six birthday this year and they are inviting some of the top names in electronic and dance music! The line-up features more than 70 artists who will rock the cities for two days each. These include not only names like David Guetta, Calvin Harris, Armin Van Buuren who dominate the scene for some years now, but also some small, local projects, who definitely need recognition. Going through the whole list is simply impossible, so here are some of the highlights. David Guetta's story started in the mid '80s. Back then he was a DJ in local clubs in France and later became famous for his songs Love Don't Let Me Go and The World Is Mine. At the moment he's probably one of the most well-known names in modern pop, house and electro music. His collaborations with artists such as LMFAO, Fergie, Akon, Ne-Yo and Flo-Rida have got him a superstar status and billions of views and searches on Youtube and the Internet. Calvin Harris is a young an aspiring DJ, songwriter and producer. He became famous not only for his hits Feel So Close and I Need Your Love but also for producing the records of stars like Kylie Minogue, Cheryl Cole and Rihanna on her record-breaking album We Found Love. Calvin Harris is the highest paid DJ of 2013, with the astonishing 40 million dollars. Armin Van Buuren is voted the best DJ in the world for the last six years and he definitely lives up to his reputation. His weekly radio show A State Of Trance gathers more than 20 million listeners in 26 countries worldwide. His parties are known for their wild atmosphere and never-ending energy. Nero are a trio from the United Kingdom. With the rise of electronic dubstep and drum and bass music, Nero quickly emerged from the sea of composers and DJs. Combining their unique style and the wild ideas of the US DJ Skrillex Nero won a Grammy in 2013 for the best remixed recording. Club launches across the country have already begun. Their goal is to popularise the event. The clubs present a nice environment, with bars and a good air ventilation. Duct cleaners in Melbourne, Sydney and the other cities have made sure about that. In conclusion we could say that this year's Stereosonic is going to be an amazing event. We really hope it manages to beat the past editions and proves once and for all that parties are an important part of anyone's life!